Today, Alberta Premier Rachel Notley called a provincial election for April 16. The candidates will debate many issues over the next four weeks including taxes. 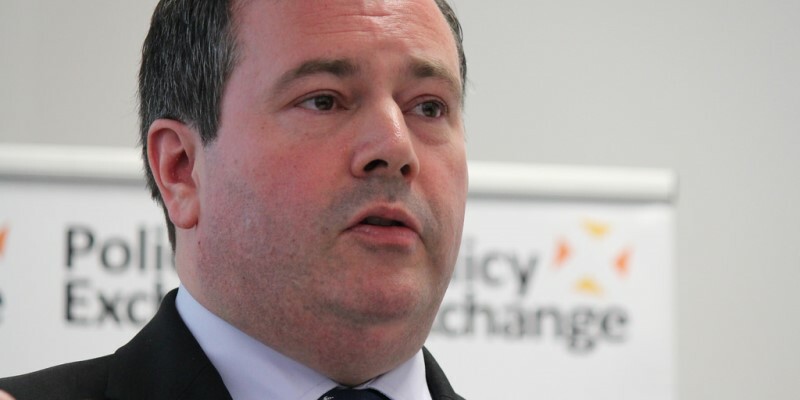 Alberta UCP Leader Jason Kenney recently announced that, if elected, his government would reduce the province’s corporate income tax rate from 12 per cent to 8 per cent. Given the recent tax increases in Alberta and tax cuts in the United States that have substantially eroded our tax competitiveness, this tax policy change would be good news. The announcement was followed up by a pledge on the personal income tax (PIT) side—just not the kind that one might have hoped for. Kenney could have proposed pairing his 8 per cent corporate tax with an 8 per cent single-rate personal income tax—there are good theoretical reasons to set the two rates the same. At a minimum he might have simply pledged to rollback Premier Notley’s personal tax increases and return Alberta’s PIT system to the single-rate 10 per cent PIT that served the province well for many years. So what did he propose? No change to the PIT. Competing for global investment means being able to attract high-skilled workers from around the world. A lot of factors determine where high-skilled managers or petroleum engineers decide to live and work, but their after tax compensation is part of the equation. In 2015, Alberta had both the lowest combined general corporate income tax rate and lowest top PIT rate of any state or province. After tax increases at the provincial and federal level and corporate and PIT cuts in the U.S., Alberta now has the 10th highest top personal tax rate and is in the middle of the pack on corporate rates. The PIT increases mean that all of our major competitor states have lower personal income taxes, ranging from a 37 per cent combined state/federal top rate in Texas, Wyoming and Alaska (they have no state level corporate tax) to 42 per cent in Oklahoma. Alberta’s top rate is 48 per cent, and our top federal rate kicks in at just over $200,000 compared to just over $500,000 stateside. In short, Alberta taxes its most skilled and mobile workers much more heavily than its competitors. That puts our energy companies at a major disadvantage, and makes expanding in Denver or Houston look a lot more attractive than Calgary. So why take no action? Kenney claimed that since the Notley government has run large deficits—on the back of a decade of spending increases well above the combined rate of inflation plus population growth by multiple premiers—there’s no room for PIT cuts. That might make sense, if it weren’t for the fact that—as Kenney frequently notes—Alberta spends more than 20 per cent more per person on government program spending than neighbouring British Columbia. This excess spending is, as Kenney has correctly noted in the past, at the root of Alberta’s fiscal challenges, and closing this gap would eliminate the deficit. Arguing that the NDP tax cuts can’t be rolled back is tacit endorsement of the idea that high personal income tax rates are a good strategy for fighting deficits, a view not supported by the evidence. According to our estimates, simply returning to a 10 percent single-rate personal income tax would cost roughly $1.3 billion annually. To put it in context, that’s less than the fluctuation in royalty revenues the government experienced between its 2018 Budget and the Third Quarter Fiscal Update. Is the problem that we can’t conceive of reducing program spending by around 3 per cent, to reverse course on these damaging tax increases, because the Alberta government is such an efficient well-oiled machine? While Kenney’s pledge to reduce the general corporate income tax rate is welcome news, it’s hard to view his pledge to hold firm on Notley’s 15 per cent top personal income tax rate as anything but a disappointment. Alberta needs comprehensive tax reform to make the province more attractive for investment and help drive growth. Kenney is making a mistake by ruling out reforms to return the province to the competitive single-rate tax structure that served the province so well.